Have you ever wished for something with your whole heart? As a child, R. Ogilvie Crombie (Roc) made a wish as he dropped a penny into a wishing well - he asked to be able to see fairies and talk to them. In Encounters with Nature Spirits, we follow Roc’s path as, many years later, he meets the faun Kurmos in the Royal Botanic Garden in Edinburgh, discovers the realm of the elementals, and, eventually, meets the great god Pan himself. In his conversations with Pan, elves, and other nature spirits Roc realizes that the elemental realm is vastly more powerful than our human kingdom and possesses an ability to create far beyond our human means. Through his experiences Roc becomes closely involved with the Findhorn Community in northeast Scotland where he meets further elementals who give him sound advice as to how the famous Findhorn gardens should be cared for in order to work in harmony with nature. 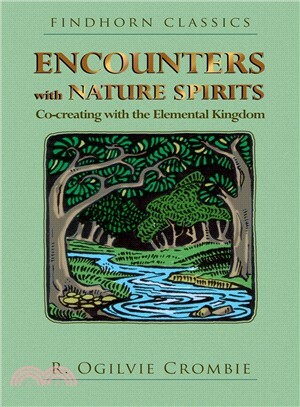 Encounters with Nature Spirits is a reminder to us all of the importance of our relationship with the nature kingdom. Through his example, Roc places emphasis on connecting and working in harmony with nature spirits. True co-creation with nature, working with rather than against the elemental kingdom, can bring about vital positive change to our endangered eco-system. The elementals are open to working with mankind--the question is, are we humans open to engaging with and respecting them again? Trained as a scientist in his early years, R. Ogilvie Crombie (Roc) (1899-1975) was a self-taught mythologist, psychologist, historian, and esotericist. A thespian at heart, he also displayed great interest in the fine arts, music, and theatre. Roc lived in and around Edinburgh and had a close connection to the Findhorn Community, Scotland.